Snowden Vineyards is run by the long time Napa based Snowden family. Their vineyards are located just east of the Silverado Trail not far from Joseph Phelps Winery and near the famed Auberge du Soleil resort. This property has been under family ownership since 1955. The vineyard was originally purchased by Wayne and Virginia Snowden and today their sons Scott and Randy and their families founded the winery with their first release from the 1993 vintage. In the early days they sold all their grapes to local cooperatives which then created two popular wines, a mixed red and a mixed white wine. As a result, you never knew exactly what varietals you might have represented in the final product – field blends on a large scale, if you will. Their property was originally settled by a gold miner, Levi Philander Davis who came to California to pursue a dream of getting rich in the gold fields (not the first Napa wine family with prior gold mining pursuits). He and his wife moved to the Napa Valley in 1878 taking full advantage of the Homestead Act, allowing the settlement of previously non settled areas with the caveat that the land be used for farming. 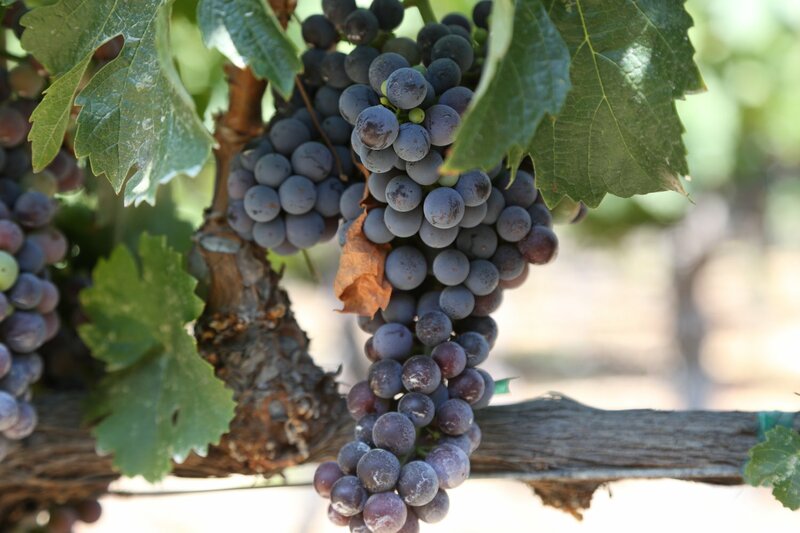 Levi planted the first wine grapes on site in 1879 and later planted additional vineyards as well as fruit trees. By 1891 records show that the property was planted to 60 acres of wine grapes including Zinfandel, Malvoisie and Chasselas. However, by 1955, much of the property had reverted back to its natural state and only a percentage of the wine grapes were still be managed. 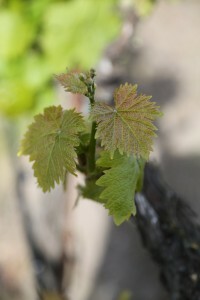 Wayne planted Cabernet Sauvignon in the early 1960s (with grafting wood from Nathan Fay – owner of the time of the now well-known Fay Vineyard in the Stags Leap District). Scott and Randy eventually replanted the rest of the old orchards to grapes – again choosing Cabernet Sauvignon, this time from bud wood from Jordan Winery in neighboring Sonoma County. For many years the Snowden’s sold their grapes to Stag’s Leap Wine Cellars, and in later years to Silver Oak Wine Cellars, Frank Family Vineyard, and Viader. Today they hold back most of the grapes for their own wines. They used to harvest all the fruit at once but over time they have become more tuned into the nuances and ripening patterns of the specific vineyard. This is truly a family run affair as multiple generations have become involved over the years; today Scott and Joann Snowden and Randy and Janet Snowden oversee the operations. Scott and Joann’s daughter, Diana Snowden Seysses is the winemaker for Snowden Vineyards. Diana grew up in the Napa Valley and attended the University of California, Davis, where she graduated with a B.S. in Viticulture and Enology in 2001. Her first wine related job in the Napa Valley was for Robert Mondavi Winery – and worked additional harvests at what was Araujo (now Eisele Vineyard), Mumm and Ashes and Diamonds. Her winemaking has become international in scope – her husband Jeremy’s family owns Domaine Dujac in Burgundy (where she also works) and today seasonally commutes back to the Napa Valley to produce the wine for Snowden Vineyards. The Snowden Vineyards range in elevation from 600 to 850 feet. These hillside vineyards are all very much managed by hand throughout the season depending on each vines needs. In the late winter the vines are pruned – come Spring there is always plenty to do as the vines grow in spurts depending on how warm it is each day (tying, shoot thinning, removing suckers, training the shoots etc), after veraison occurs, then dropping certain grapes and ultimately harvesting the fruit. They farm their vineyards as organically as possible – not using Round-up to remove weeds but rather doing so by hand and with machine. While the Snowdens own 160 acres only 23 are actually planted to vines. Today their vineyards are separated into a number of blocks each of which is harvested separately; this ensures that only the ripest fruit is used. In addition, each block is fermented separately until the final blending takes place. Indigenous yeast is used during the fermentation and after this is finished, only free run juice (the highest quality) is placed into the barrels for aging. All wine is bottled unfiltered for maximum flavor. The wine is made at Fantesca Winery across the valley on Spring Mountain above the town of St. Helena. We tasted the 2006 Sauvignon Blanc made from the only non estate grapes used (sourced from Beckstoffer’s Rutherford based vineyard). However this wine was already sold out; only 200 cases were produced – its a crisp clean wine with notes of fresh cut grass, pineapple and grapefruit flavors. Snowden is best known for their premium Cabernet Sauvignon. The 2005 Snowden Reserve Cabernet Sauvignon received very high ratings and accolades soon after its release. Fortunately it comprises the bulk of their 2900 case production and includes only the best lots from their vineyard. 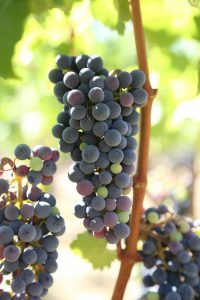 It is a very concentrated Cabernet Sauvignon; wines of this style and caliber only improve Napa’s reputation when it comes to Cabernet Sauvignon. Notes of cedar and herbs grace the nose along with a plethora of dark fruit aromas. The palate has a multidimensional flavor profile with ripe notes of currant and cherry and a finish of very great length. NOTE: this is one of the earlier reviews on this site: we originally met the Snowdens at a tasting many years ago. This is one of the very last reviews on this site (less then three) originally written based on a public tasting. This review has been identified as needing a *major* update.